← Very Late St. Paddy’s Day Post!! Is it off the wagon or on the wagon? I don’t know. Either way I have not been eating 100% paleo the last few weeks. I told myself at the beginning of last week that I would start eating strict paleo because I had gotten off track and needed to reset again. Well, the whole resetting didn’t work. It seems I can’t just eat a few non paleo food items and be good. By the end of the day, I end up eating more non paleo foods than paleo and that is not what I want to have happen. I wouldn’t mind eating this way if it didn’t affect me physically. Over the course of the last few weeks when I eat more carbs (ie, bread, cereal, crackers, etc) and more sugar (ie, candy, pastries, iced caramel lattes, etc) by the afternoon I am completely wiped. I am significantly more tired, low energy and craving more sugary foods. It is a vicious cycle. This is why I am going to follow a 21 day sugar detox program. The creator of the program is by the same author of Practical Paleo. The 21 day sugar detox consists of 3 different levels that you can choose to follow based on how strict you want to follow the paleo lifestyle. Level 1 excludes all refined and processed foods but, includes grains, legumes and dairy products. Level 2 now excludes grains and legumes but still includes dairy products. I am going to follow level 3, since I have a huge sweet tooth and need to reset my eating habits. There are two ways to do the 21 day sugar detox. One way is you can go on the 21 day sugar detox website and buy the e-book for $21. The purchase includes an interactive e-book that has tips, recipes, information, guides, an additional guide on supplementing, free Facebook community support and a free 25 day email support. The other way is to find recipes on Pinterest and other sites. I haven’t decided what I am going to do yet. This time I am going to eat 100% paleo which means, no half and half in my coffee and no iced lattes from Starbucks. So, since I’m not starting this for another 2 weeks I decided to treat myself today. I was in the neighborhood of a Trader Joe’s and haven’t been there in a while and I love all their goodies they carry so, I couldn’t pass up my favorites. On a healthier note, Z and I did make a Costco trip this past weekend to pick up some paleo approved items. It is always fun going to Costco. It is like Target but, bigger quantities. I was banned at one point from going to Costco alone, by my own husband. Can you believe it? Actually it was probably for the best. I always go in for a few items and end up walking out with a whole cart full of stuff. Who doesn’t need a 10 lb can of beef-a-reeno? Thankfully, that ban has been lifted for quite some time now and Z and I can go as we please. On our trip this time, we only needed a few items since the weekend before we had stocked up on some essential paleo items. Those are all I can think of now, but will add to the list if needed. I always forget that Costco actually carries a variety of produce, both organic and conventional, and usually very well priced when compared to your average grocery store. I will be starting my 21 day sugar detox on Sunday, April 7th. I will be making daily posts of what I eat and how I am feeling, mood, cravings, etc. 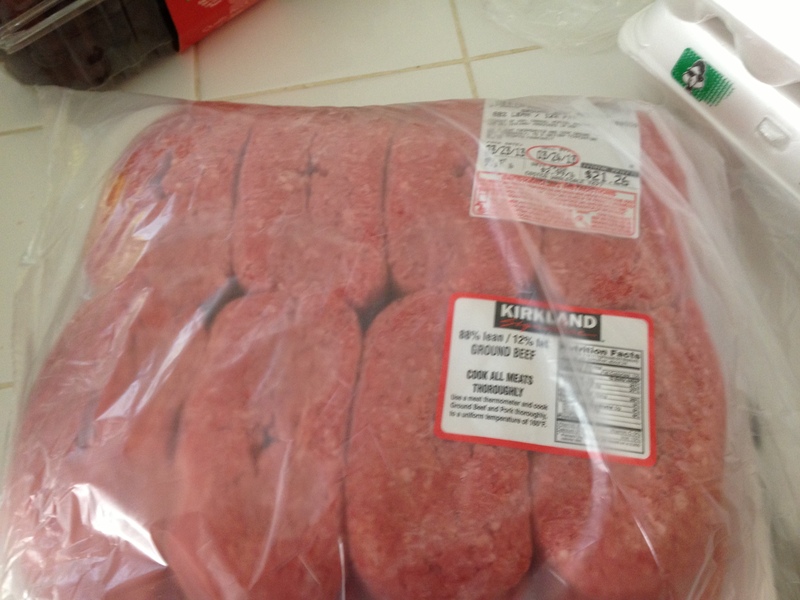 Have you found any good deals at Costco when purchasing healthy foods? Is there a type of food that you couldn’t give up? This entry was posted in paleo, Uncategorized and tagged 21 day sugar detox, Pinterest, Starbucks, Sugar, Trader Joes. Bookmark the permalink. I hope your 21-day detox goes well. I should do something like that, just to reset my sugar tooth, but I don’t know if I could give up my cereal (Fiber One original) and milk for breakfast. Thank you! Just in the last couple months, we have started going to Costco weekly, they have a lot of good produce. That was about the time my son started loving berries! I will have to check out their tomatoes too. yum! Those cinnamon twists and bread look amazing! I can’t wait to live closer to a Trader Joe’s in a few months! Good luck with your detox! It always feels so good to get back into healthy eating! Thanks, I’m looking forward to the detox. It is dangerous having these goodies in the house.